Carol Sanford interviews David Leventhal of Playa Viva Hotel on the south facing coast of Mexico. David is a recent Communing Honoree by the Regenerative Business Prize. 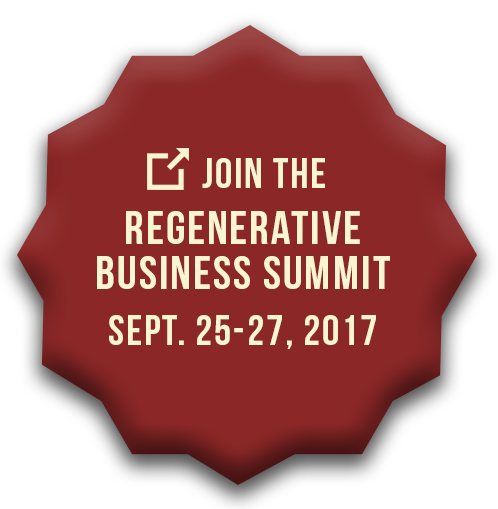 Fabio Viero talks about his business, Manens-Tifs, with Carol Sanford on the Regenerative Business Podcast. BJ Duft talks about his business, Herban Feast, with Carol Sanford on the Regenerative Business Podcast. Richard Piacentini talks about his business, Phipps Conservatory, with Carol Sanford on the Regenerative Business Podcast. Simon Constantine talks about his business, Lush Cosmetics, with Carol Sanford on the Regenerative Business Podcast. Matt Abrams talks about his business, Mycelium, with Carol Sanford on The Responsible Entrepreneur Podcast. Carol Sanford, host of The Responsible Entrepreneur Podcast, talks to Tom Goos the President of Image Source. Carol Sanford, host of The Responsible Entrepreneur Podcast, talks to Ethan Roland and Gregory Landua about Terra Genesis. Carol Sanford, host of The Responsible Entrepreneur Podcast, talks to Hans Meyer and Marc Jongerius about their re-defined housing project, Zoku. Carol Sanford, host of The Responsible Capitalist Podcast, talks to Hans Steenbergen. David Thau talks about his plan to save the rainforest with Google Maps and about teaching thinking skills at Mills College that matter to non-profits and business. Jeffrey Hollender talks with Carol Sanford about how to find your essence and leverage it to lead industries.